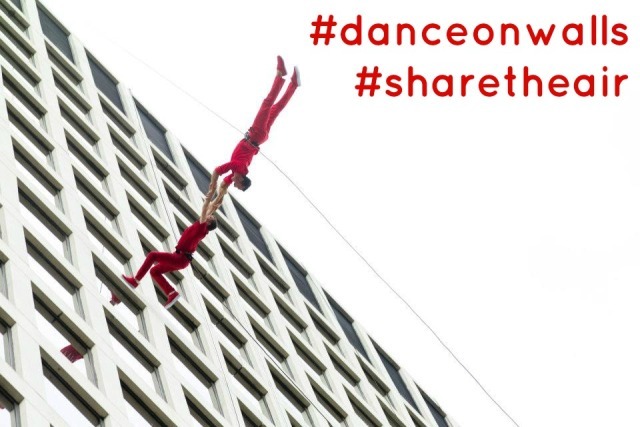 Come share the air with BANDALOOP! Join us for a workshop in 2014. 8 Week Series, January 27 - March 17. Email krystal@bandaloop.org with the code LOOP20 and your requested workshop dates by DECEMBER 31 to receive 20% off the enrollment fee! Give the gift of flight for the holidays! Gift certificates can be purchased in any denomination and redeemed for workshop registration. We will send them a holiday e-card with your gift information.